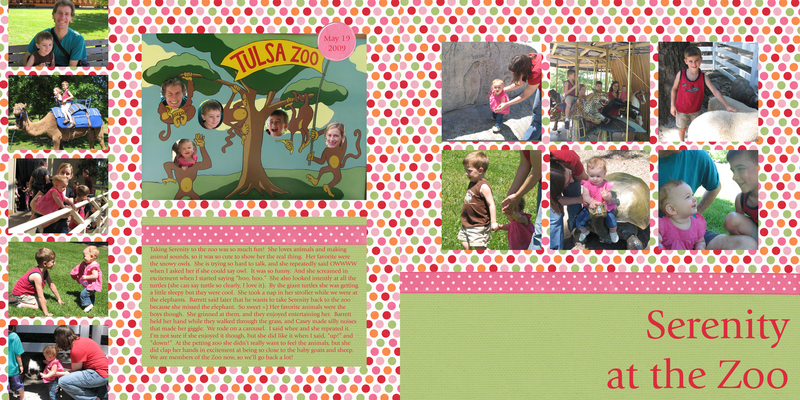 Taking Serenity to the zoo was so much fun! She loves animals and making animal sounds, so it was so cute to show her the real thing. Her favorite were the snowy owls. She is trying so hard to talk, and she repeatedly said OWWWW when I asked her if she could say owl. It was so funny. And she screamed in excitement when I started saying “hoo, hoo.” She also looked intently at all the turtles (she can say turtle so clearly, I love it). By the giant turtles she was getting a little sleepy but they were cool. She took a nap in her stroller while we were at the elephants. Barrett said later that he wants to take Serenity back to the zoo because she missed the elephant. 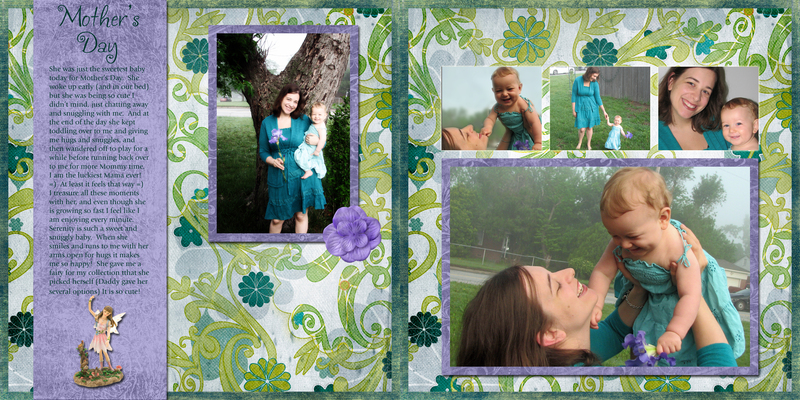 So sweet =) Her favorite animals were the boys though. She grinned at them, and they enjoyed entertaining her. 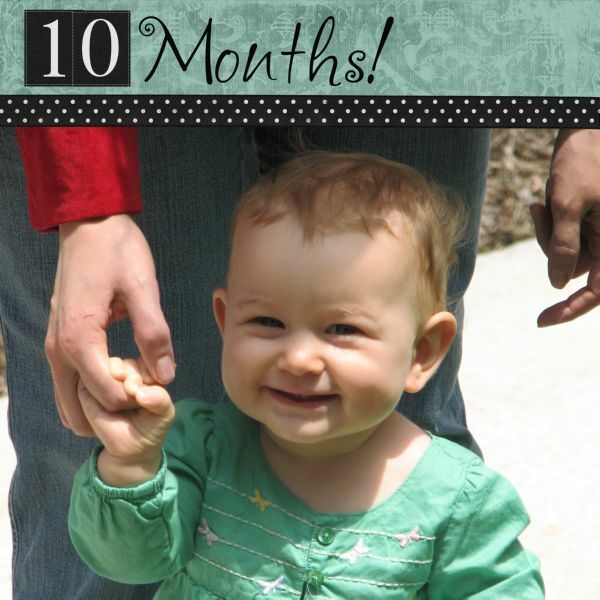 Barrett held her hand while they walked through the grass, and Casey made silly noises that made her giggle. We rode on a carousel. I said whee and she repeated it. I’m not sure if she enjoyed it though, but she did like it when I said, “up!” and “down!” At the petting zoo she didn’t really want to feel the animals, but she did clap her hands in excitement at being so close to the baby goats and sheep. We are members of the Zoo now, so we’ll go back a lot! 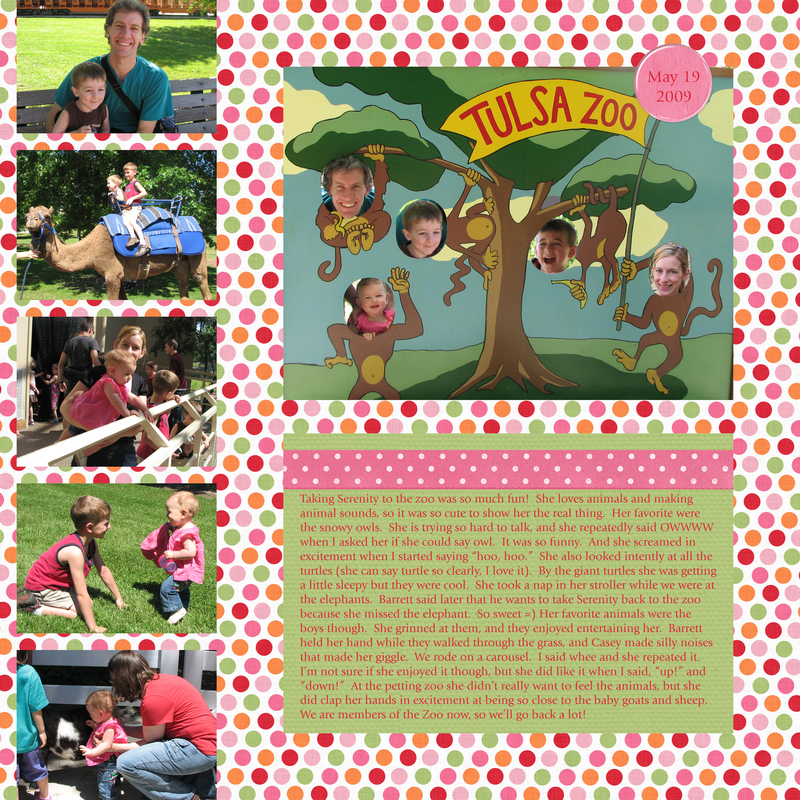 Posted in News | Comments Off on Serenity's First Zoo Trip!!! 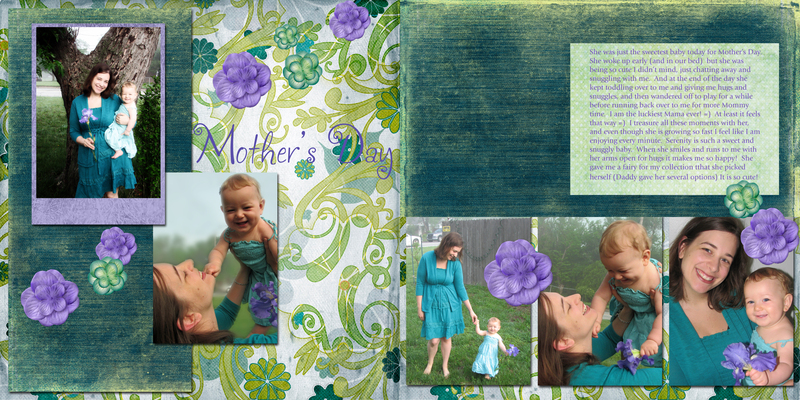 I started to make a scrapbook page for the pictures we took on Mother’s Day… and I couldn’t make up my mind about a layout! So I decided to make four different ones! 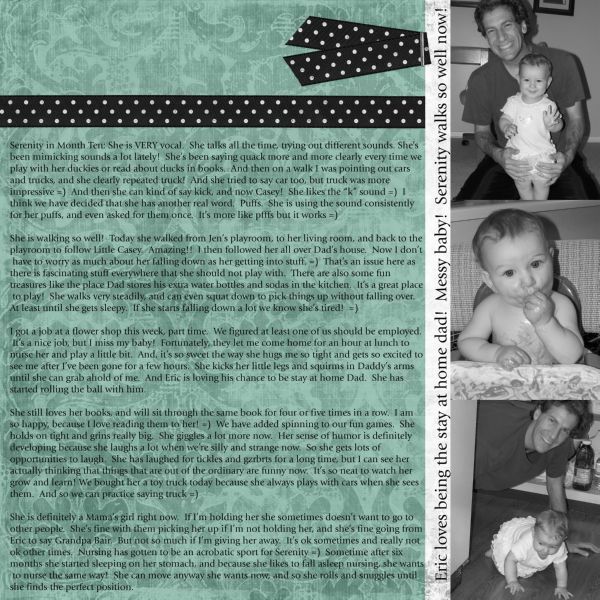 One of the benefits of digital =) Since I want to make templates for all the layouts in my Becky Higgins sketches book, it was productive too =) Which one do you like best? 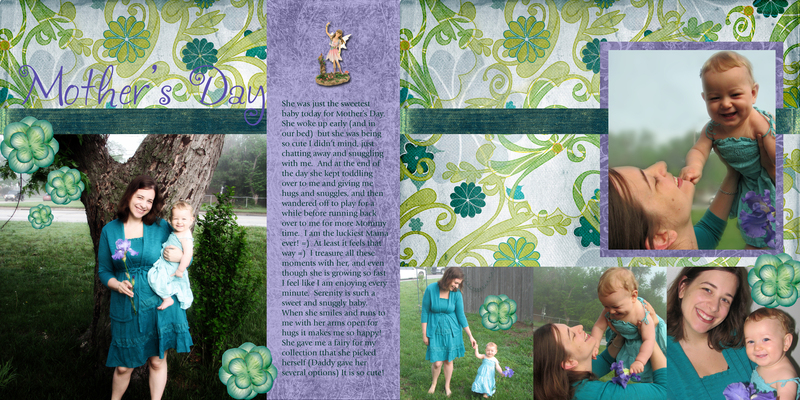 I made a new digital scrapbook page! 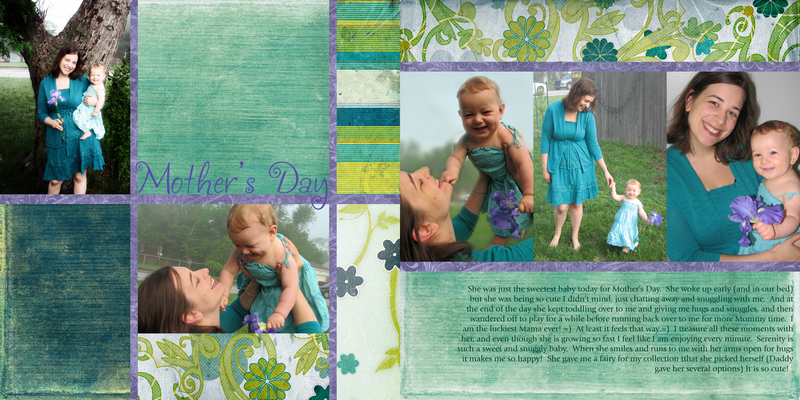 I made my very own template and colored the paper so it matched her shirt nicely =) Yay!!! I wish I could work on months 8 to 9.5 but those will have to wait until my hard drive recovers or I get my backup cds out of storage!! In the meantime I’m learning a lot about photoshop.